After recording the trace of one revolution to the spreadsheet, I created a list of points from those values and used the PolyLine function, to "connect the dots." 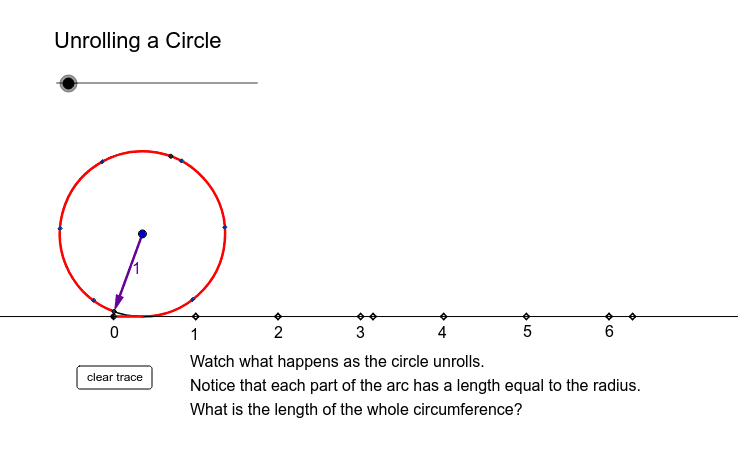 This is a cycloid in a circle - I don't know how to model that! Thanks to Zbynek Konecny for his technical assistance and to Tim Brzezinski for his ideas about cycloids. 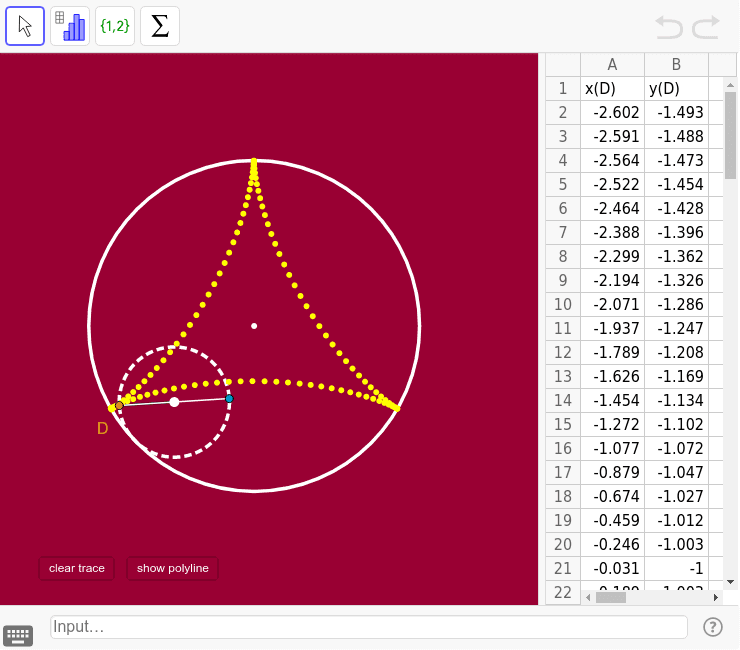 Here's a link to some cycloid info: https://proofwiki.org/wiki/Length_of_Arc_of_Cycloid And Tim's cycloid investigation: https://www.geogebra.org/m/fVPsKXfk Algebra will have to wait!